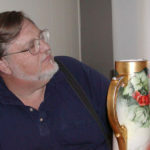 Carole Berry is an antiques coordinator in the Folsom area who loves to write about antiques and antiques shows. Carole is an amazing organizer who helps shows to run like clockwork. 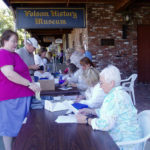 Antiques enthusiasts bring their family treasures and garage sale finds to Folsom for informal evaluation and identification. 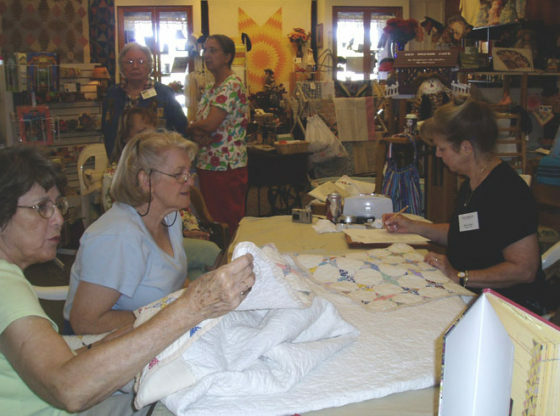 An impressive team of volunteer appraisers, covering a wide range of specialties, offer collectors a unique opportunity to learn more about their antiques and collectibles. The appraisers draw on their years of experience in providing an estimate of current market value as well as a verbal identification and evaluation of pieces. This Year’s team of volunteer appraisers includes: RANDALL ABBOTT: Asian & Middle Eastern Arts & Antiques; MARK BAKER: Paper Ephemera, Post Cards, Correspondence & Letters, Vintage Photos, Historical Documents & Stamp Collections; GARY COX: “Generalist” specializing in Collectibles, Furniture, China & Political Items; JEROME EVANS: Tribal Art, including American Indian, African and Oceanic Art; SYLVIA FITZGERALD: “Generalist” specializing in Art Glass, Porcelains, Paintings & Sterling Silver; ROBERT FLAHERTY: Fire Arms, Military Memorabilia & U.S. Coins; DAWN LICKER: Quilts; MARSHALL MARTIN:Dolls, Doll Houses & Furniture, Children’s Items, Clothing and Antique Holiday Items; NICK NICHOLSON: Stringed Musical Instruments; ROMAN OLEYNIK: Clocks, Pocket Watches, Watches & Jewelry; EMILY SCHELL: “Generalist”; and GREG TRACY: Military Memorabila & Weapons. This year’s Evaluation Day is made possible with support from Folsom Lake Bank, The Folsom Chamber of Commerce, The Folsom Telegraph, Folsom Rotary Annes and Andy, The Rotary Club of Folsom and Karen’s Bakery Café. There is no limit on the number of items that may be presented for evaluation. Photographs with dimensions of oversized items may be submitted for evaluation. 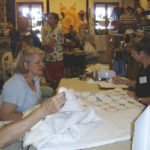 Experienced Museum volunteers ensure that collectors are promptly helped. 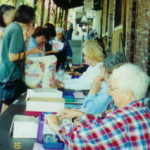 Cost of evaluation is a donation of $8.00 per item or $35.00 for five items.